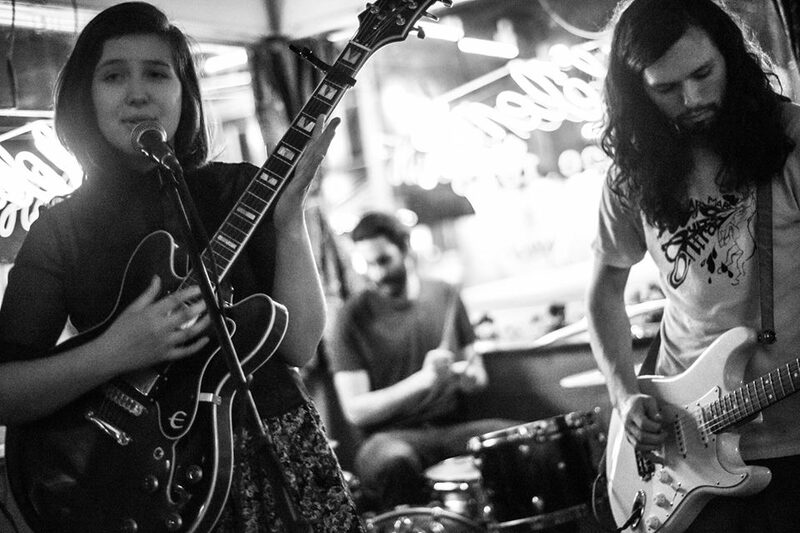 Dacus makes up just one-third of the indie rock supergroup, Boygenius. 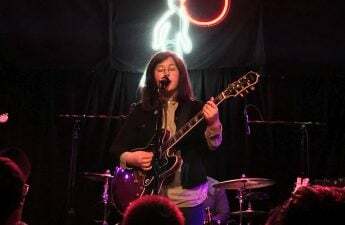 Lucy Dacus ended her last Madison performance with a smile and pointed to her heart following an encore performance of her atmospheric album closer, Historians. This symbolic gesture served as a succinct and meaningful farewell by the 22-year-old artist to the community. Now, less than half-a-year since her last Madison gig, Dacus is returning to Madison to support The National at the Orpheum Theater July 31. 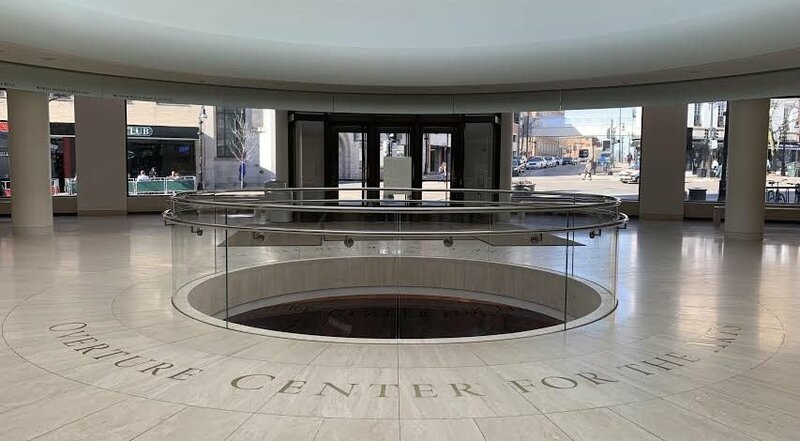 Dacus expressed excitement to return to Madison for a fourth time, citing the city’s genuine nature and community as reasons to come back. 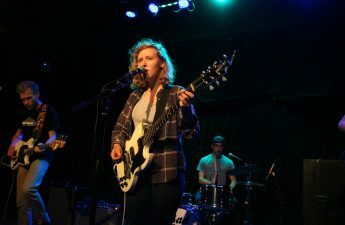 “It seems like Madison has a really strong local community in like the radio scene, and clearly you have music journalism that’s local and I feel like it’s a really good place to stop,” Dacus said. These “fortuitous” moments of human connection seem to follow Dacus due to her genuine nature and her focus on fostering community and connections. Dacus even takes touring, an experience many artists can find isolating and lonely, and uses it as an opportunity to invite bandmates’ friends and family along to create bonds and understanding along the way. These connections and stories extend from the tour van to the stage and to the homes of fans as Dacus’s work is so immensely personal and emotive. Yet, despite the intimate nature of her tracks, Dacus continues to hold close to the stories she tells on a nightly basis. 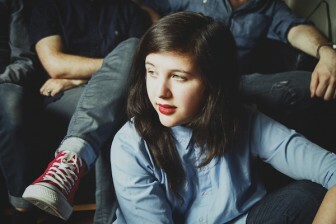 The cornerstone that allows for Dacus’s songs to breathe new life into their audience is the deep sense of community created at a Lucy Dacus show. This ties back to Dacus’s own community in Richmond, VA, where the artist played a show earlier this month to raise money for RAICES, an organization working to reunite separated families at the southern border. Dacus expressed her immense gratitude for her hometown. Community surrounds Dacus. 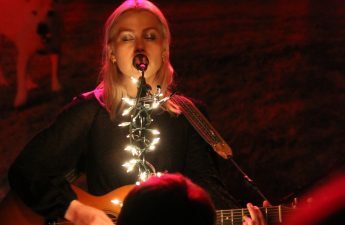 Whether it is her home community, her family, her friends or the crowds of strangers that come to see her on tour, Dacus somehow attracts the beauty of human connectivity. Her attention to detail, creative vision, compassion and empathy create a spark that inspires hope in darkness. It’s what many artists seek to do, yet Dacus has already accomplished these goals with two albums at the age of 22. “I don’t really like taking ticket money from my hometown. I feel like it should just be — I feel like I should give because I’ve taken so much and been given so much from my city,” Dacus said. The grandiose sound of her latest release Historian is a departure from her debut No Burden, as the sonic shift coincides with an angle into a more open approach to pain and struggle. “The album is largely about struggle and considering death or feeling isolated or basically how to cultivate hope in the face of those things,” Dacus said. Dacus cultivates hope in a time when it is easy to feel hopeless. It’s what makes Dacus such a powerful up-and-coming force in music, as she possesses a talent that is so intrinsically important to humanity and art, yet so difficult to conjure. Dacus’ return to Madison will prove to be a new experience for the young artist. Opening for indie legends The National in a new venue in a familiar city will give Dacus a wonderful opportunity to continue sharing what makes her one of the most intriguing figures in indie rock today — her immensely personal and compassionate approach to an industry that is lacking it.